With a history dating back more than 5,000 years, olives have been and remain a fruit crop of incredible significance throughout the Mediterranean Basin. The trees are highly ornamental, with densely foliated rounded canopies and small silver/green leaves. 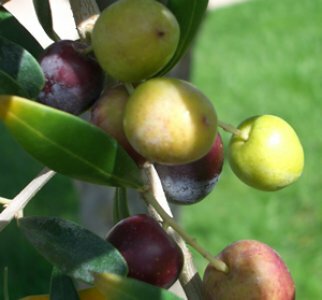 Most olive varieties require a significant amount of cold weather to produce fruit, but the varieties we offer are subtropical and have fruited as far south as Sarasota, FL. The fruit turn from green to black when ripe and are naturally bitter. They are typically cured in a brine solution to make them more palatable. 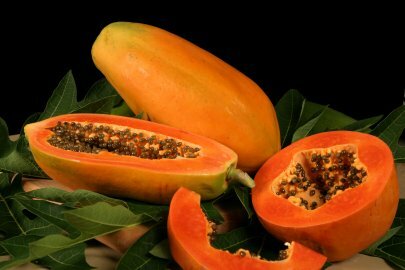 Papaya has an enzyme that soothes the stomach and calms indigestion. The fruit is commonly consumed as a breakfast food, and it is often juiced as well. Red Lady is a dwarf self pollinating variety that is also especially resistant to papaya ring spot virus. The fruit typically weigh four to six pounds, and it has excellent flavor, aroma, and texture. Passion fruit grow on a fast growing vine that climbs with tendrils. The flowers are large, showy, and extremely aromatic. They are also excellent butterfly attractants. The pulp is used extensively in fruit juice drinks like Hawaiian Punch, and it is often used in baked desserts as well. The Possum Purple fruit typically get to be about the size of a goose egg. The Sweet Sunrise variety is baseball sized and yellow. Both are self pollinating. 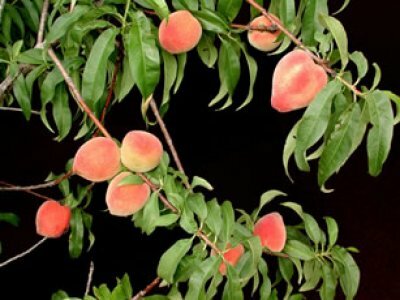 Through a breeding program that began in 1953, the University of Florida successfully developed numerous low chill peach varieties suitable for Florida’s mild climate. The varieties we carry will grow and produce fruit even as far south as Miami. In fact, they have fruited successfully in Cuba and Nassau, Bahamas. 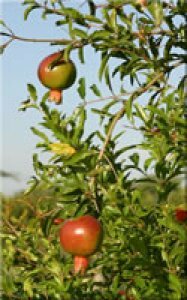 The fruit quality is equal to that of temperate-zone cultivars, and small commercial plantings can be found throughout central Florida. The trees are deciduous and lose their leaves each winter, but they are highly ornamental, otherwise making them an excellent choice for the home garden. 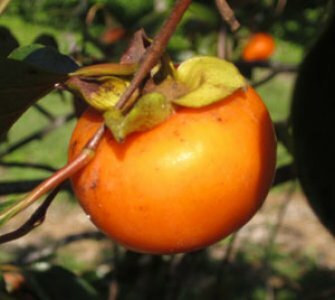 Persimmons are deciduous trees that lose their leaves each winter and enter a dormant state. New leaves are then followed by flowers in the spring. 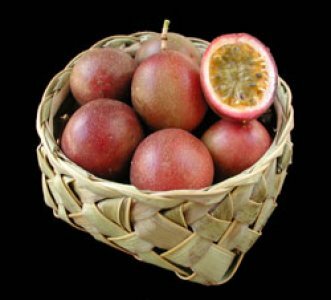 The fruit are classified as being astringent or non-astringent. 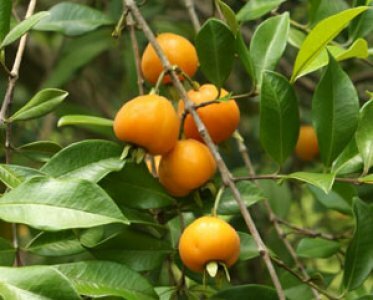 The Fuyu variety is non-astringent, while the Triumph is astringent until fully ripe. Both are sweet when ripe and well suited for Florida. They are most commonly eaten fresh out of hand, but they are also common in salads and gelatin desserts. 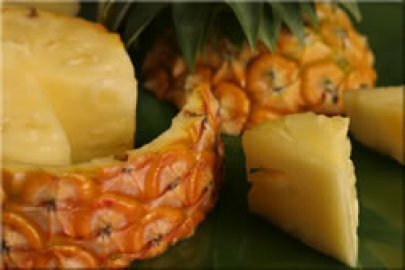 Pineapples are among the most widely used tropical fruits in the world. The fruit grow on a small herbaceous plant that is in the same family as ornamental bromeliads. 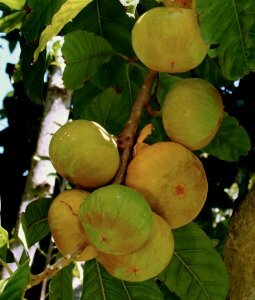 The plants can be reproduced by planting the crown of the fruit, but they are best grown from the suckers that occur at the base of the fruit or the mother plant. The plants begin producing fruit at one to two years of age. Pitomba are another highly ornamental Eugenia from Brazil. The fruit have an apricot flavor and color. The trees can be container-grown, hedged, or grown as a specimen. The University of Florida’s plum breeding program has successfully developed several Japanese plum varieties suitable for Florida’s mild winters. Like the low chill peaches, the plums were developed as a potential new commercial fruit crop for Florida, but they are an excellent choice for the home landscape as well. They are deciduous trees and go completely dormant in the winter. Flowers and new leaves typically emerge February-March and the fruit ripens May-June. The fruit size is adequate and the fruit quality is excellent. The trees, however, have a short lifespan, and usually only survive 5-8 years. The pomegranate is known as “the hardest working fruit” in the world. The juice contains the highest concentration of naturally occurring antioxidants of any fruit. They are typically baseball to softball size, and are filled with transparent sacs that contain a seed and a flavorful pulp. They can be eaten out of hand or juiced for a drink. 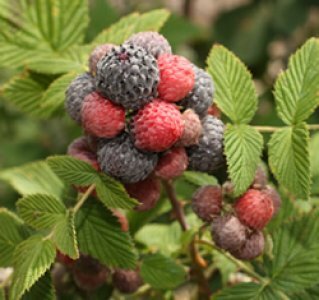 Despite originating from the lower Himalayas, the Mysore Raspberry grows and fruits extremely well throughout Florida. The fruit are the size of a nickel, extremely flavorful, and a favorite among kids. The plants go dormant in the winter, and new canes sprout in the spring. 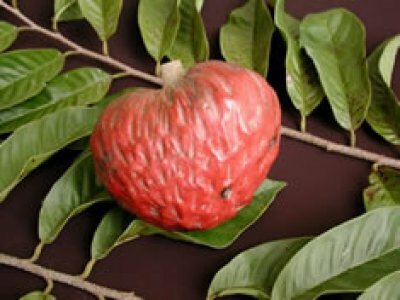 The red custard apple is a very close relative to the sugar apple and atemoya. They have a thick creamy custard-like pulp that can be pink, red or white. 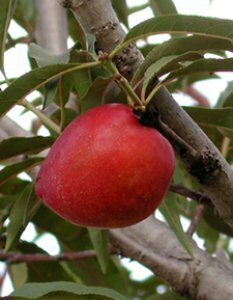 The fruit have a pleasant flavor and aroma, and they are best eaten out of hand or in ice cream. The Ross Sapote is a selection of canistel-like fruit introduced to Florida by William F. Whitman. It is unclear if it is simply a variety or a distinct species. Like the canistel, the plant is evergreen, open and well adapted to sub-tropical climates. The fruit grows more in clusters and is smaller and rounder than the larger selections of canistel. It has a thin orange-yellow skin with a moist flesh that resembles the yolk of a hard-boiled egg. They are commonly eaten fresh out of hand and in ice cream. Even those who are not fond of canistel, immediately like Ross Sapote.